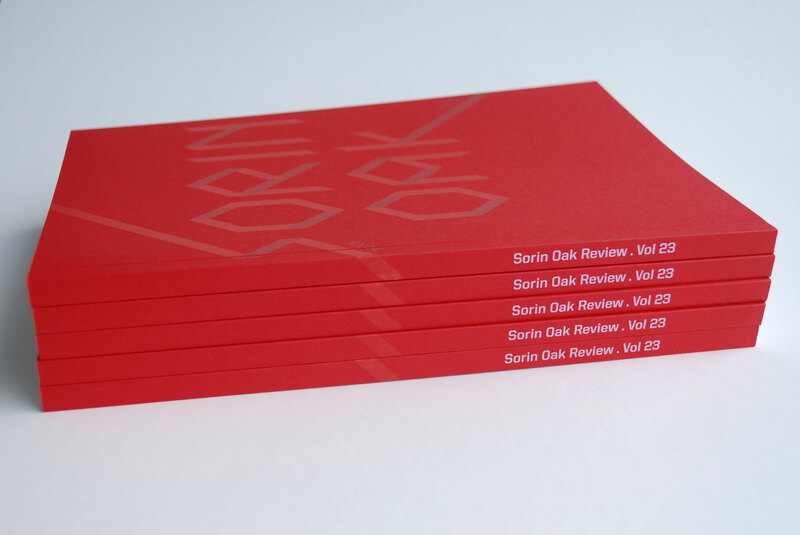 The Sorin Oak Review Literary and Creative Arts Journal volume 23 for St. Edwards University. 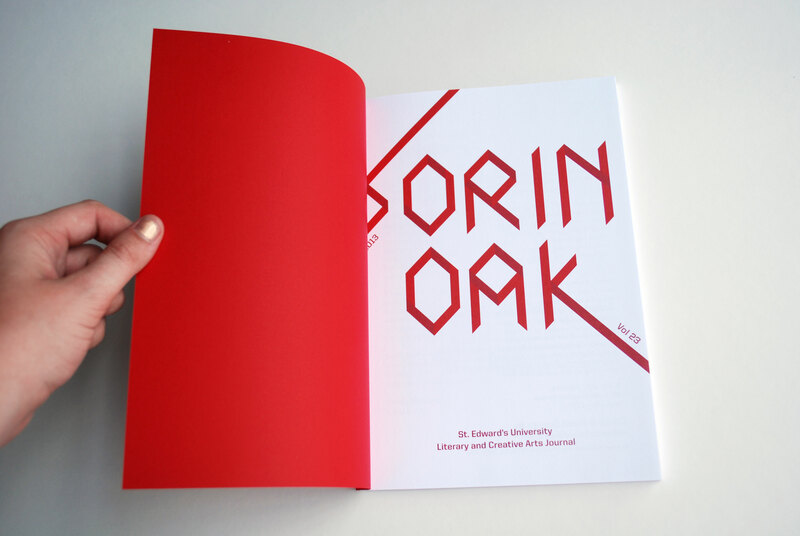 It is a collaborative effort between Kathryn O’Neill (Lead Designer) and I (Assistant Designer). 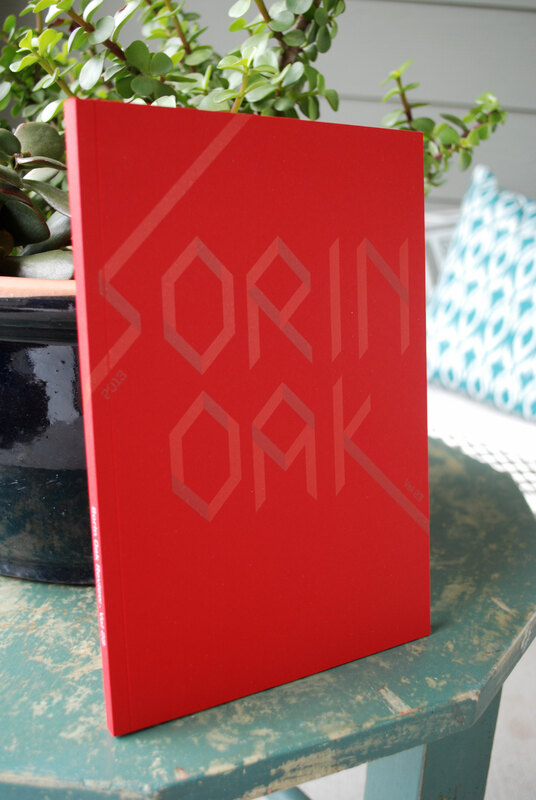 The cover and book were printed by Capitol Printing.